It seems that Apple’s iOS has been “hit” by a new bug, which is causing iPhones and iWatches to crash and reboot after receiving a text message. It seems that the SMS contains the word “Power” along with other unicodes in Marathy (Indian), Arabic and Chinese characters, which means “redundant”. The SMS is being sent to a lot of iPhone users obviously if you receive a message from an unknown person we suggest you don’t open it. It seems that after opening this message via the iMessage application, the iPhone stops working begins to perform a complete restart. 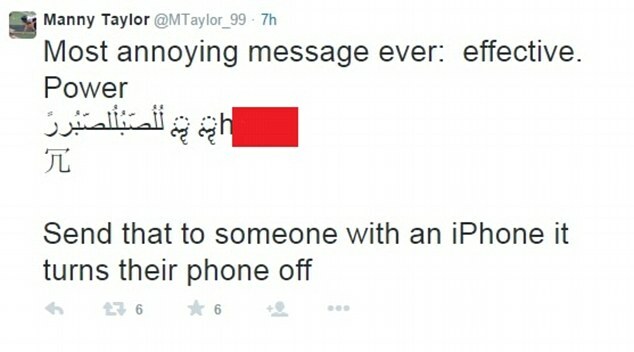 The same thing happens with the Apple Watches, if they are connected to the iPhone that receives the bugged SMS message. According to MacRumors, your device will not crash if the iPhone is unlocked and if you have the iMessage application open when receiving it. At the same time, if the sender (the prankster) doesn’t use the spaces correctly between the words, the crash will not happen. 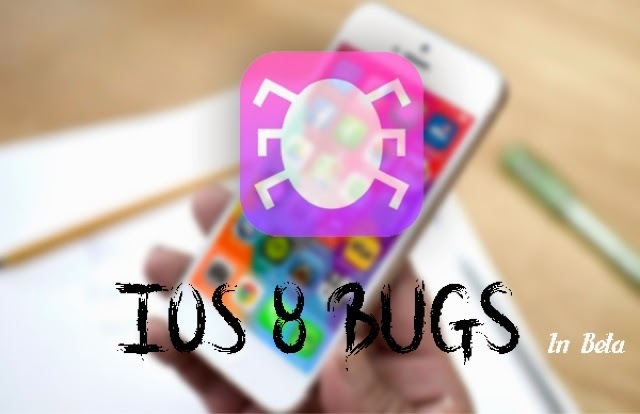 Apple said that the problem has been found on iPhones that run on the latest iOS 8.3 version. It seems that there were a lot of users who had their iPhones crash because of this and they’ve made a lot of noise on Twitter about it. This has forced Apple to officially announce that they are working on a patch that will fix the problem. The American multinational technology company also confirmed that the fixing patch will be released soon. First of all, you should know that this crash occurs only when your iPhone is in the lockscreen mode. This is why you should turn off lockscreen notifications on your iPhone. Also, if you own an Apple Watch, we suggest you turn off message notifications for the iPhone application. If you happen to receive the message, ask a friend of yours to send you a normal text message in order to replace the malicious Unicode message from the top. Another idea is to send a message to yourself via Siri. iPhone owners can also use the Note application and write something in it and share it with their contacts. For now, there is no news when Apple is due to release the new patch, but hopefully this will happen sooner rather than later. Did you use these fixes on your iPhone? Do you think that Apple will fix this glitch soon?